الخيار الأفضل للحصول على المتعة والاسترخاء, Hilltop Studios يقع في منطقة Margaret River في مارجريت ريفر واين ريجيون. يمكن من هنا للضيوف الاستمتاع بسهولة الوصول إلى كل ما تقدمه هذه المدينة النابضة بالحياة. يضفي محيط الفندق اللطيف وقربه من نبيذ ميروبس, حديقة جلاوسستر, الكنيسة المعمدانية في مارجرت ريفر سحراً خاصاً على هذا الفندق. كما يقدم Hilltop Studios الكثير من الخدمات لإغناء رحلتك في مارجريت ريفر واين ريجيون. لضمان راحة ضيوفه، يقدم الفندق الخدمات التالية: تسجيل وصول/خروج سريع, تخزين الأمتعة, غرفة عائلية, مرافق للشواء, جرائد . ادخل إلى واحدة من الغرف 20 وتخلص من عناء نهار طويل بمساعدة مجموعة كبيرة من الخدمات كمثل تلفزيون بشاشة مسطحة, حوض الاسترخاء, غرف لغير المدخنين, مكيف هواء, تدفئة الموجودة في بعض الغرف. صممت خدمات الاستجمام في الفندق والتي تتضمن بلياردو, حديقة لمساعدتك على الاسترخاء والراحة. يشكل Hilltop Studios بخدماته الراقية وموقعه الممتاز، قاعدة مثالية للاستمتاع بإقامتك في مارجريت ريفر واين ريجيون. The best thing about this place is how secluded the villa is, with incredible view. Just like I wanted. I could just sit all day enjoying how green is the view or the forrest, hills and kangoroos, birdies. The place also spacious. The downsite was barely any internet connection, which I didnt mind. Other than that, would definitely come back here. 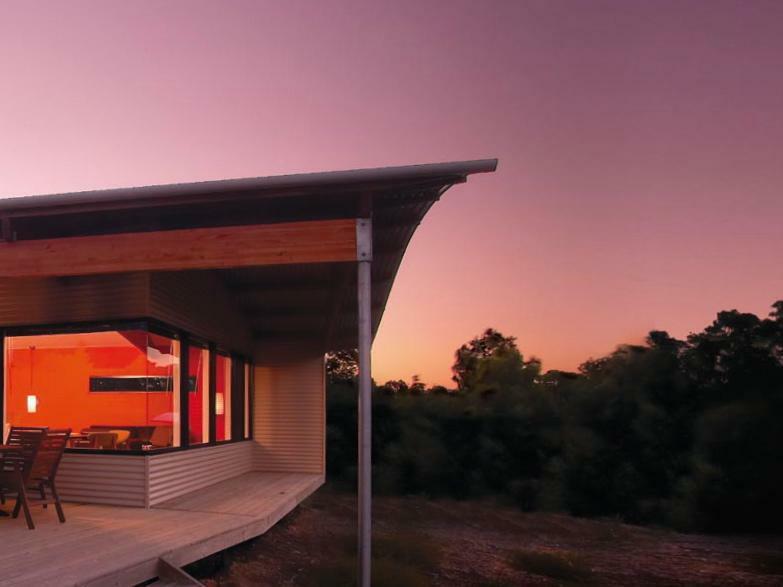 Hilltop Studio is a fabulous break away stay. I live in Perth and went down to the South West for a weekend break mid winter. The outlook and facilities wonderful, private and well appointed. 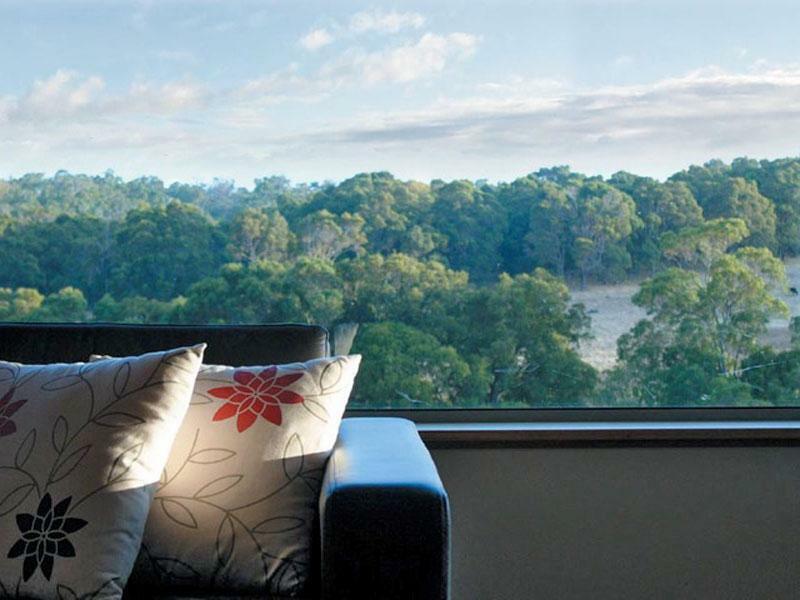 Location easy access to bush walks and ocean and wineries, and the town of Margaret River. A beautiful studio apartment in a stunning location. Apartment was spacious, clean and relaxing. The building was very well designed to allow guests to feel a part of the surrounding and sweeping hills. We did not see or hear another soul for the whole duration of our stay at Hilltop which was nice. Highly recommend the studio. It's great for some private and quiet time but would be safe only if there're other occupants nearby. Our stay was pleasant, and the owners were very helpful, and when they weren't able to find something for us, very kindly gave us a complimentary bottle of wine. The view from the room was quite lovely and serene. However, I wouldn't rate this as 4-star. It's quite dated and not very luxurious in terms of furniture, the way it's fitted out, etc. Very good stay. Would have liked some additional touch of luxury for eg bathrobes, bedroom slippers. An extra floor lamp at the dining area would help too. Overall, it was really an excellent stay at Hilltop Studios. Although it was pricey (by our usual standards of accommodation), it was our honeymoon trip and we wanted an accommodation which was more private with a nice view. Location wise - it was convenient as it was a short drive to Margaret River town where we could get grocery shopping done and had our dinner as well. But it definitely does not have any amenities within 1km (or maybe even more), of course that contributed to the tranquility of the place. For me, one of the key highlights was that the kitchen was very well-equipped, and very spacious too! Felt very cozy and made me feel like I was cooking in my own kitchen. Only gripe was that we were not located near the office, and could not access their wifi which was quite annoying as the mobile coverage was not very good and it made it a bit hard for us to research on places to go without the wifi. This place was relaxing and decadent with stunning views, a great spa that overlooked the hills where you could see the sunrise, in a studio that attracted natural sunlight all day long. Each studio is intimate and quiet providing respite from the busy world. Located 10 minutes from Margaret River town, in close proximity to the wineries and restaurants. We will definitely be back. The view when you wake up, closeness to nature, quiet.. Excellent!!! Amazing views when you arrive and the view when you wake up in the morning.. Simply breath taking!!! No light pollution at night, great for star gazing while enjoying a bbq over a glass of wine! I have traveled extensively and this is definitely one of my top 10 favorite hideouts. 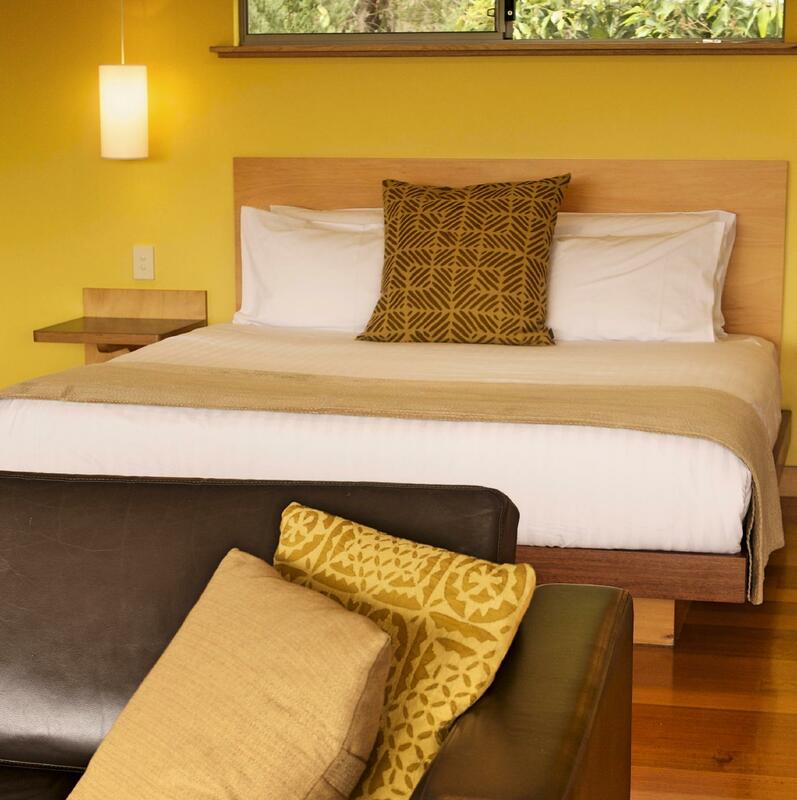 The room is spacious and tastefully designed, with plenty of natural light, overlooking a valley. The wooden deck and the bbq pit are great! Just a short drive in less than 10 minutes to the Margaret River Town center, you can buy all the fresh produce, pre-marinated meats and wine. A truly magical experience to dine under the starry night in complete privacy. Absolutely perfect! Situated on the hill, we didnt see anyone for almost 2 days except for kangaroos in the morning.